The oldest recorded system of meditation dates back almost 7000 years and is recorded among the holy books (Vedas) of the Hindu religion. The inspired poets (called rishis) responsible for these volumes attributed their insight regarding mythology, religion, and morality to a natural process of awakening that occurs following an intense commitment to meditation. 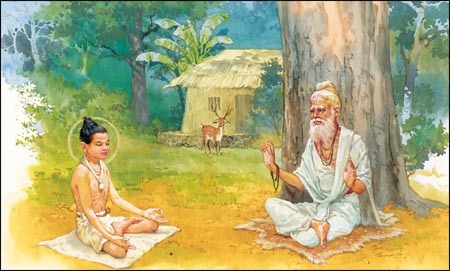 Understanding the benefit offered by conscious introspection and mindfulness, these sages ensured the continuity of their wisdom by establishing a deep tradition of student/guru apprenticeship in which the guru guides the student to deeper and deeper levels of reality through introspective instruction. In 400CE, a Brahman sage called Patanjali composed a series of 196 aphorisms describing in simplicity the entirety of classical yoga philosophy. This work, known as the Yoga Sūtras of Patañjali, describes the eight branches of yogic practice necessary for the achievement of meditative perfection. These eight limbs detail the necessary requisites for achieving meditative contemplation, the most misunderstood of which is called asana (posture). Asana refers to the practice of posture appropriate for meditation. Of all the shapes the human body can form, only those in which the spine is kept straight and the body is able to relax are considered appropriate for meditation. A straight spine is necessary for unrestricted blood circulation throughout the central nervous system as well as for maximizing lung capacity. In addition, restlessness counters concentration, therefore we are most suited for meditation in positions that are comfortable and that can be held for long periods of time. Based on this, the rishis have declared that seated positions with folded legs and supine positions are the most conducive to meditation. One need only attempt a short meditation to realize that simple seated positions are deceptively difficult to sustain for long periods of time. The recognition of this lead to the expansion of asana to include a system of physical healthcare and exercise focused on cultivating strength, endurance, and flexibility for the purpose of preparing for meditative practice. 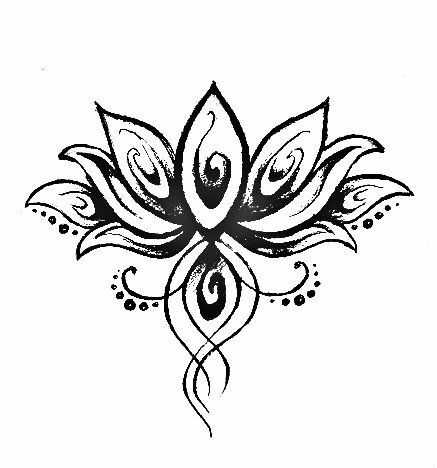 Only upon releasing somatic tension will a yogi be able to remain seated for long meditation sessions without becoming disturbed or uncomfortable. 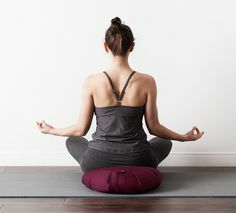 In order to push the boundaries of meditative potential, techniques have been devised to enhance the comfort level of practicing yogis. One of the most basic enhancements of comfort is the use of a meditation pillow, which easily reduces discomfort in the body by providing cushion and support between the body and the ground. At The Om Shoppe & Spa we recommend the zafu style meditation pillow, developed in Japan for comfort in Zen monasteries during traditional zazen meditation sessions. Traditionally stuffed with the soft downy fibers of reedmace seed heads, this cushion can be used in a number of meditation positions. The pillow can be placed under the sitz bones for support in upright seated positions, or underneath the low or upper back, under the knees, or behind the head for support in supine positions, depending on the needs of the practitioner. Visit The Om Shoppe & Spa and pick up a zafu meditation cushion in red (for grounding, strength, and energy) or purple (for serenity, healing, and spiritual connection). Our zafu cushion covers are removable for easy washing and cleaning, and the inner stuffing can be removed for personal adjustment. Each cushion comes embroidered with the symbol Om, representing the individual’s connection with universal consciousness, the perfect signifier of the deep spiritual awakening these pillows are meant to support.